A good example of a small-to-medium sized website with bespoke WordPress content management and interactive features. Direct Fuels required a new website with WordPress content management system (CMS) to promote their exclusive fuel cards. This meant that, due to our expertise in the area, Parker Design Consultants were chosen to design and build the website, integrating it into the WordPress CMS. The theme of the website was inspired by the design of the fuel card itself and was extended so that the cards looked at home in the website’s aesthetics. SEO was a major factor in the design phase and Parker Design researched the most relevant keywords and keyphrases for use throughout the website. 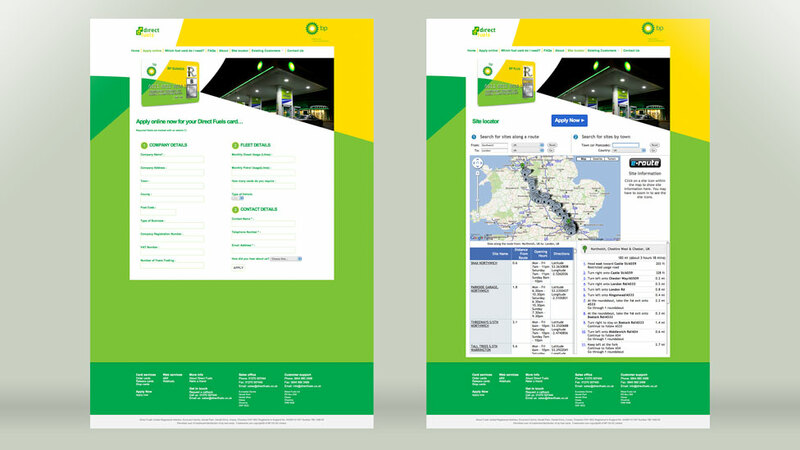 Once all of the page templates had been designed and developed, some external services were integrated into the site, such as fuel station site location maps. The Direct Fuels website is a good example of a small-to-medium sized website with bespoke WordPress content management and interactive features. The Allmed family only came together a few years ago, but their heritage goes back over 30 years. Our client needed a digital agency that would help them create a new web design to communicate their mission to do things better, together.